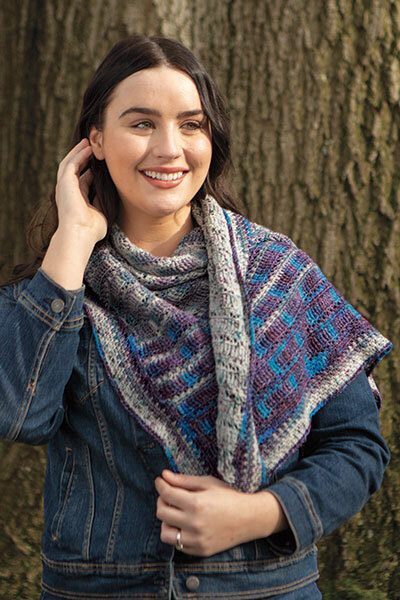 Roadtrip shawl is a semi-circular shawl knit from the top-down with raglanstyle mirrored increases, a simple lace pattern, and ruffled edging. 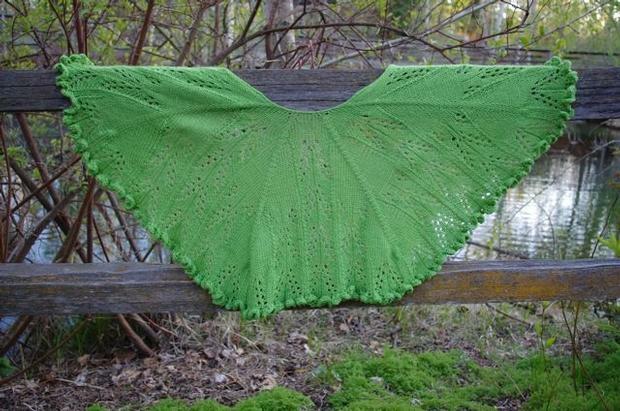 The shawl is simple enough to knit while on a roadtrip (or other long and potentially monotonous experience), yet the lace pattern is sufficiently interesting to keep ones attention and help the time pass. Pattern Difficulty: Adventurous Beginner. 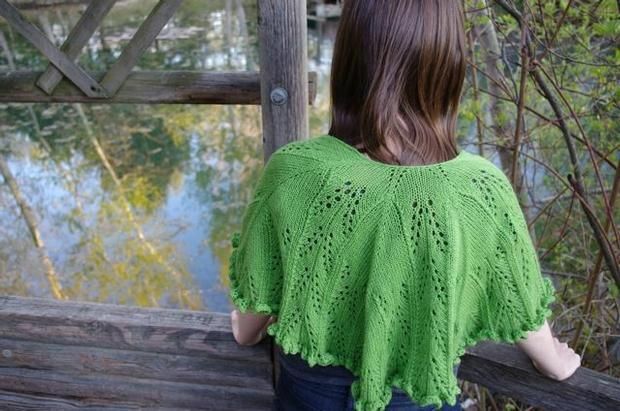 Pattern uses increases, decreases, and following a stitch pattern over a large number of stitches. My only disappointment is that it turned out smaller than the photo showed. 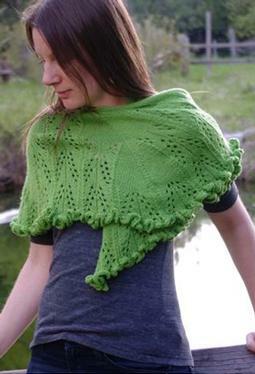 I would increase the size were I to knit it again.